Unless you’ve been living under a rock you’ll know that the Queen of YouTube, Zoella, has made quite a name for herself over the past few years. Not only is she one of the world’s most famous vloggers with over 11 million subscribers, she also has a best-selling novel and a hugely successful beauty range under her belt too. Now, Zoella is really putting her stamp on the beauty industry with the launch of her new (and absolutely HUGE!) Autumn/Winter 2016 collection! Who’s excited? Zoella has been keeping the collection under wraps for the past year and has been secretly working hard to develop the range – I don’t know where she finds the time! 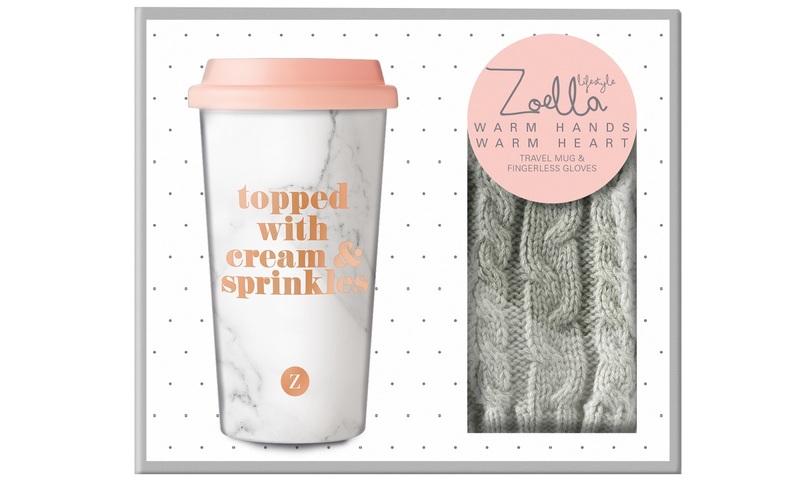 It’s clear to see that Zoella has spent a huge amount of time perfecting the products and even fooled fans by sneakily including some of the items in her recent videos, without them even realising! The collection is jam-packed full of lifestyle treats and some really exciting Christmas pieces, from luxury home essentials to the perfect crimbo gift set. Let’s discover some of my personal favourites from the collection and ‘step inside the extraordinary’..
Appropriately named, this set includes a linen and cotton-scented candle and a soft sock set, perfect for those lazy duvet days! Ok, so the duvet day is over and you actually need to leave the house. Why not take the comfort outdoors with this ‘topped with cream and sprinkles’ travel mug and adorable knitted fingerless gloves set? Perfect for those cold, winter mornings! These adorable decorative storage pots can be used for absolutely anything; plants, makeup brushes, pens and pencils… There are two to choose from; Blooming Marvellous which comes in Rose Gold and Pick Me which has a marble design – a massive trend for 2016! We all need a bit of time-out! The Naps Fix Everything pillow is for those ‘just 5 minutes’ moments. 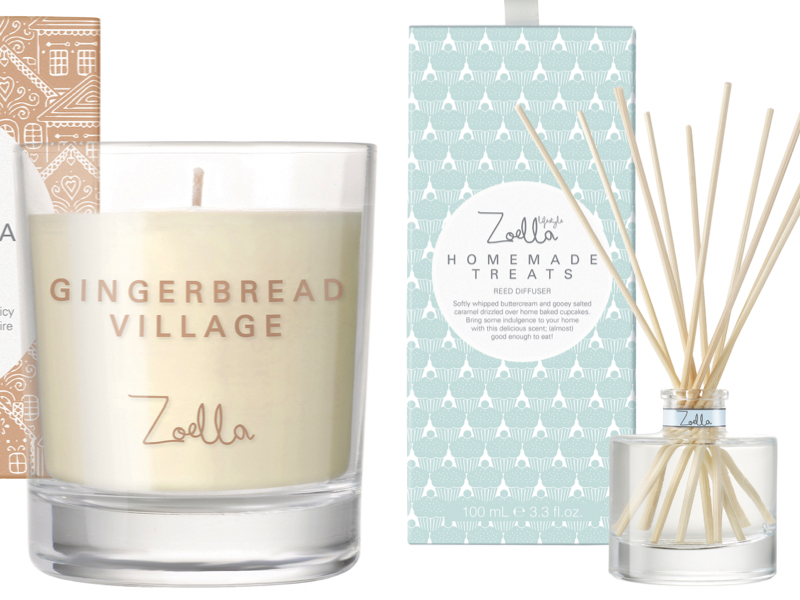 Included in the collection are a number of scented candles, personally named by Zoella herself! I love the unique design of each box – they open to reveal a hidden picture that really tells you the story behind the fragrance. Daisy picking: a scent of fresh meadows, allowing you to keep hold of those summer memories for a little while longer! Lazy Day: which is the candle included in the Lazy Days gift set, mentioned above. Ooh, so clean! Seaside Stroll: a scent of fresh air and ocean mist – oh I do like to be beside the seaside! Gingerbread Village: it doesn’t get more Christmassy than this – a sweet and spicy fragrance with scents of ginger, vanilla, cinnamon and nutmeg. All we need now is a mince pie! My Eden: a floral scent and one of Zoella’s favourites, inspired by the smell of her Mum’s Wiltshire garden, also available in a gift set! Homemade Treats: a scent of indulgent home-baked cupcakes – good enough to eat! Sadly, only available in the diffuser at the moment! Time to get festive! This is a bauble with a twist, filled with spicy gingerbread and warm vanilla bubble bath – perfect for those cold and dark winter evenings! 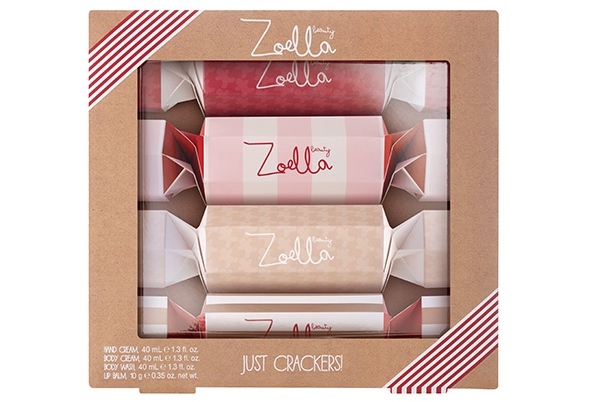 A box of cute Zoella crackers with adorable miniature beauty gifts inside! Keep it as a treat or bring it to the table to add some extra festive fun to your Christmas dinner! A brand new, limited edition ‘bake my day’ fragrance with a whipped gingerbread body cream. Sounds gorge! Snap, Fizz and Relax with these cute gingerbread fizz bars. Almost too cute to destroy - snap each of the bars in two and place in the tub for the ultimate bathing experience. It’s not Christmas without a hamper and this has all you need for a bit of festive indulgence. Exclusive to Superdrug, it’s stuffed full of amazing items including a frothy shower glaze, moisturising body cream, conditioning hand cream, a scented fizz bar and some relaxing bath salts, all presented in a wicker hamper that can be used over and over again. 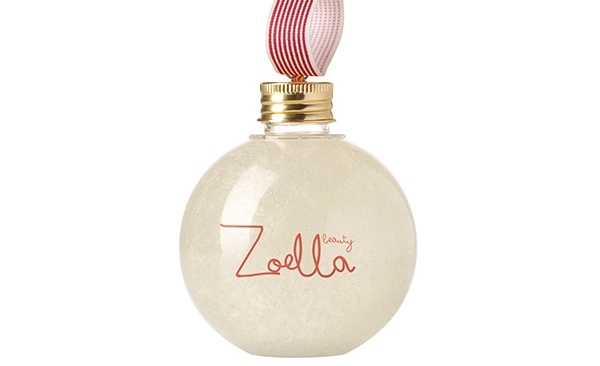 Zoella has even thrown in a cute little purse too! The Lifestyle Collection launched in Superdrug this week and the full collection should be available by the end of the month.